The richest Jew in Valencia. He was forced during the persecution of 1391 to accept Christianity. The jurados of Valencia reported on this baptism on July 14, 1391, as follows: "Yesterday there was baptized the great Don Samuel Abravalla with great solemnity in the palace of En Gasto under the patronage of the marquis, and he has received the name of Alfonso Ferrandes de Villanueva, from an estate which he owns in the marquisate, called Villanueva" (De los Rios, "Hist. de los Judíos de España y Portugal," ii. 603). This Samuel Abravalla can scarcely be identical with Don Samuel Abravanel, who was also baptized in 1391, but took the name Juan de Sevilla. Abravalla soon returned to Judaism, as did also Abravanel. 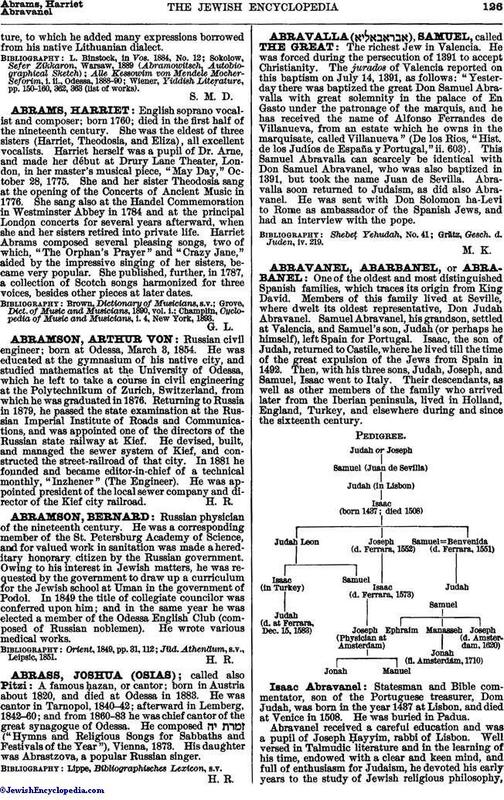 He was sent with Don Solomon ha-Levi to Rome as ambassador of the Spanish Jews, and had an interview with the pope. Grätz, Gesch. d. Juden, iv. 219.